An “introductory” workshop was held, that presented the Smart Growth efforts that have been developed over the past several years in Volusia County and their impacts on DeLand. The workshop was lead by Rafael Montalvo, of the Florida Conflict Resolution Consortium, who has been working with the County’s Smart Growth Committee. Mr. Montalvo brought everyone up to date on the county-wide effort and staff presented items being pursued by the City. The workshop presented some examples of Smart Growth efforts around Volusia County as well as other areas around Florida and some anticipated trends facing the City. The majority of the workshop was devoted to discussing various development concepts that the City may want to pursue and areas for future development or redevelopment. The workshop provided initial guidance in developing a future land use vision for the City. Scenario #4 – High Intensity – Land use pattern that concentrates development at the core of the city with lower intensity development outwards from the core. Desirable traits identified from the four scenarios have been compiled to create one land use concept for additional comment. This latest concept is intended to provide the flexibility needed for looking far into the future, while also providing enough detail to guide where and what type of development should be constructed. A discussion of developing guiding principles for the vision was presented, along with the map of the land use concept. A public participation program to gather community input on the vision was also be presented. Below are the major traits from each of the scenarios presented at the third workshop, which the participants desired to see in the final concept. 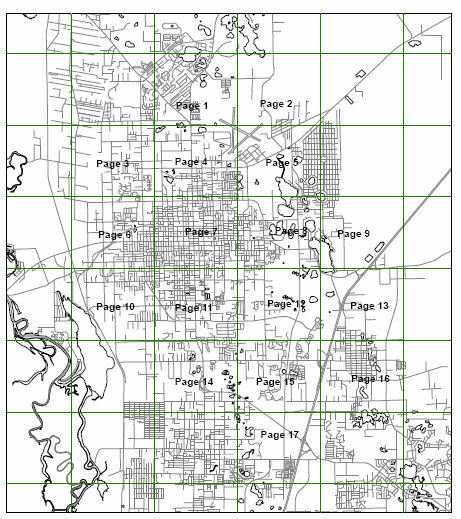 From Scenario #4 – High Intensity – Land use pattern that concentrates development at the core of the city and lower intensity outwards. The market for housing in and around the City has primarily been for detached single family dwellings. Education of developers, realtors, and public will be required to begin the shift to allow other styles of housing, to accommodate the shift in demographics where there will be fewer households with children. Agreement that City should be working towards ending urban sprawl and encouraging a compact development pattern. New development will be designed to be greener. Due to surplus of existing houses and empty lots, the City should be selective in the approval of more residential land. Protection of environmental areas is important as well as maintaining parks for residents as a quality of life issue. Urban core is key area to focus development, with maintaining a strong job base throughout the region. Also will take advantage of existing infrastructure. Include protection of agriculture with discussion of protecting “green” spaces. Develop true transportation system that includes all modes of transportation for the area because roads alone will not handle the needs of the community. The fifth scenario has been created to incorporate the desirable traits of the various scenarios discussed during the workshops. A new map has been created to illustrate the land use pattern, as well as a set of guiding principles that can be used to implement the vision by suggesting future Comprehensive Plan amendments and changes to the land development regulations. The fifth scenario is the first draft of the vision and will be referred to as DeLand 2050. The land use pattern will concentrate development in a high intensity urban core, generally located inside the Greater DeLand Area (GDA) boundary and the southeast area out to I-4. This pattern will limit urban sprawl by encouraging high intensity redevelopment in and around downtown but also along several commercial corridors. Certain sections of suburban development can be redeveloped (or retrofitted) to allow different housing types throughout the community. The overall pattern for the DeLand area will be a compact core with small neighborhood centers of mixed uses scattered around to make the City more walkable. Corridors will be redeveloped with higher intensity uses to facilitate transit. Residential density will be increased near these activity centers and along the corridors. Key employment areas will be surrounded with support uses as well as residential uses. SunRail may continue to Daytona Beach with a spur into the center of DeLand causing redevelopment of the rail spur into a mixed use area dominated by residential. Unique districts will be created to provide for or foster unique neighborhoods within the larger community that need special regulations or facilities, such as the downtown, rail spur, educational, an art village, or historic areas. DeLand 2050 will allow all types of housing; single family homes, townhomes, apartments, condos, duplexes and smaller lots. The utility service area will see an increase of almost 50,000 new residents residing in approximately 22,000 units by 2050. This concept assumes the majority of these new residents are to be housed inside the Greater DeLand Area (GDA) or the existing city limits and steered away from the rural, agriculture and environmental areas. To help distribute these units, staff is recommending that the urban core area be expanded to include the southeast area out to I-4. This area was chosen because it is adjacent to the interstate and will receive the most demand for development outside of the GDA. The amount of land area inside the GDA is 16,800 acres (the GDA with expanded urban core contains a total of 21,200 acres); total acres inside the utility service area (includes GDA) is approximately 57,200.